Our company specializes in the domain of manufacturing and exporting of Nautical Gifts. These nautical gifts are presented to the people who have great levels of enthusiasm in the nautical sand marine industry. 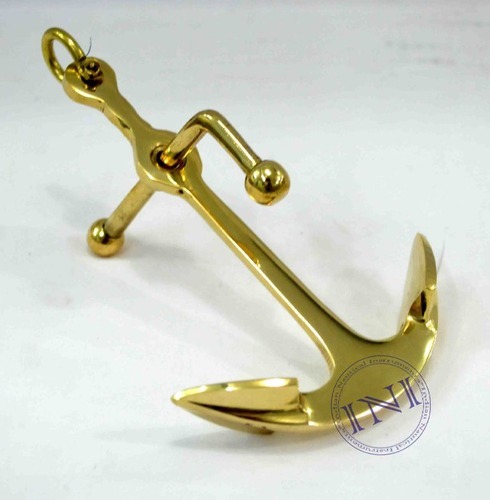 Having comprehensive range, these nautical gifts are known for its enchanting appearance and customer friendly themes. Besides, these nautical gifts are offered at reasonable prices to our beloved clients. "Indian Nautical Instruments" came into being in the year 2008 and carved a niche as the known manufacturer and exporter of the wide range of Key-chains, Handheld Telescopes, Bottle Opener, Binoculars, Handbells, Doors Knockers, Bookend, Focus Lights, Diving Helmets and many more. We manufacture the products by using the material and components of premium quality, so that clients do not face any problem. We ensure that products offered under our brand name fulfill the varied demands of clients in most appropriate manner. Our products can also be customized as per the details provided by the clients. We aim at serving the dynamic needs of our customers in most appropriate manner. Our manager has played a vital role in making us the preferred choice of the clients. They are aware of the trends ruling the market and make sure that the customers are served accordingly. We are majorly looking queries from Australia, South Korea, Japan, Russia, Italy, Germany, Netherland, France, Turkey, UAE, Denmark, Switzerland, USA, Brazil, Chilly & Canada.